​Nuchatlaht Tribe’s tsunami preparedness and response is very quick, well equipped, well informed, communicates with the necessary people and organizations, organized, and most importantly, results in everyone surviving tsunamis. On Tuesday, January 23rd, 2018, there was tsunami warning for Vancouver Island due to a 7.9 earthquake in Alaska. During this tsunami warning, there was a Telus outage which resulted in no phone or internet service in Oclucje from January 22nd, 2018 (12:00pm) to January 24th, 2018 (9:30am). Because of this outage, Nuchatlaht Tribe did not receive a tsunami warning from EMBC. There was an Ehattesaht member that did come knocking on doors around 6:20am on the day of the tsunami warning to inform Oclucje residents about the earthquake and tsunami, after the tsunami warning was off. 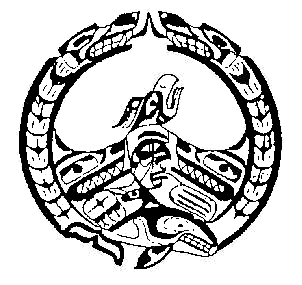 ​The Tyee Ha’wilth Walter Michael informed Mason Ducharme (Band Administrator) that a plan needs to be made to prepare for a tsunami. Mason Ducharme held a focus group with the Tyee Ha’wilth and Nuchatlaht Tribe staff to get their input on a Tsunami Preparedness Strategic Plan. This is the final document that accounts for everyone’s comments. ​Strategic issues are the questions that an organization wants to answer in a strategic plan. These are the strategic issue questions for this plan. 1. Do we have enough food during a tsunami? 2. Do we have the means to communicate during a tsunami? 3. Can we survive a tsunami for 7 days? 4. Do we have the means to leave Oclucje during a tsunami? 5. Where will our muster station be located? ​6. Do we have everyone’s phone numbers? 7. Do we have the funding to implement this plan? 8. How can we accommodate our elders and children in reaching the muster station? 9. How can we ensure the safety of the muster station and camp? ​10. How can we implement the community emergency plan (2010)? ​Do we have enough food during a tsunami? ​Do we have the means to communicate during a tsunami? ​Can we survive a tsunami for 7 days? ​Do we have the means to leave Oclucje during a tsunami? ​Where will our muster station be located? ​Do we have everyone’s phone numbers? ​To secure funding to implement this plan. ​How can we accommodate our elders and children in reaching the muster station? ​How can we ensure the safety of the muster station and camp? ​How can we implement the community emergency plan (2010)? ​There is enough food to last 7 days for 30 people on an annual basis, not exceeding the cost of $4,000.00. ​To have the essential shelter, food, heating, medicine, communication, and training, not exceeding a cost of $10,000.00. ​To add one more trail/road to leave Oclucje and head to the muster station by 2018, not exceeding a cost of $30,000.00. ​All of the communication devices are setup immediately, and new equipment is purchased, not exceeding the cost of $5,000.00. The TPSP has been constructed to better benefit Nuchatlaht Tribe. To learn more about the TPSP, click the link below.